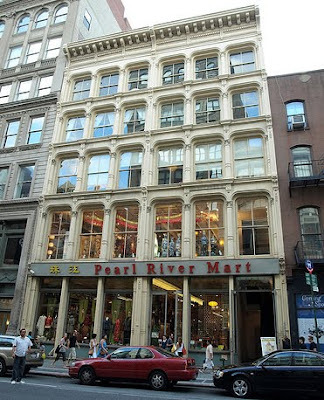 One store I forgot to mention in yesterday's post is this great big store in Soho, Pearl River. It's a Chinese American Department store filled with everything you could possibly need/want for your home. Prices are extremely reasonable too which is why I like it so much. We must've stayed in the store for about an hour at least just perusing through the goods. I found a handful of items that I wanted to purchase but honestly there was no way my suitcase was going to fit everything, especially ceramic bowls. Thank goodness for the internet! Cause I found it all online and can get it shipped. Sometsuke Bowl Set for $25.50. Gold Leaf Bowl for $9.50. I see so many famous chefs on tv use this and have always wanted one myself. Who knew they were so affordable? Scallop Edge Capiz Shell Coaster for $2.50. I especially like the Star Amber coaster. It's got the right amount of oomph for the holidays! Now, I've always wanted a Kimono and I don't really know how authentic this particular one is (probably not considering the low price) but it is still beautiful and again very affordable. Floral Print Long Robe / Kimono - Ankle Length for $35.50. I don't think I could just slip on the Kimono when I'm relaxing at home. I'm thinking the robe is more suited for everyday wear. Don't you think? Guang Sang Tea - Mango Tea for $2.25. Tea drinking season has started! 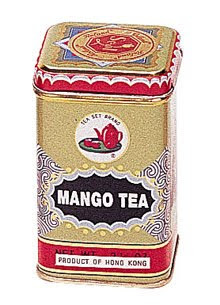 Enjoy yummy mango tea and display the pretty tin in your kitchen. It'll add that punch of color you've been needing! I grew up eating these as a kid and they are really really yummy. They're individually wrapped and there's an assortment of flavors to choose from: Melon, Pineapple, Peach, Orange, Strawberry, Muscat, Apple,Kiwi, Mango, Grape, and Lychee. I told you guys this place has everything. Even candy! Check out their site, you'll be sure to find something you want.